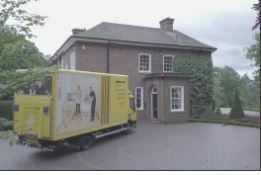 Johnsons Moving Services - A stress-free move with confidence At Johnsons Moving Services we understand that moving house can be stressful at the best of times. That's why we do everything we possibly can to make sure that your house move goes as smoothly as possible. We use all of the skills, expertise and know-how that we've built up over 140 years in business. We're proud to have moved some of our customers several times over the years. Our highly trained staff, dedicated office teams and vastly experienced packing and moving professionals are on hand to ensure your move is a complete success. 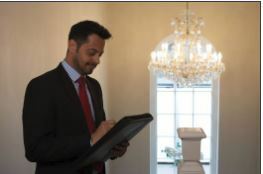 We will plan your move with considerable attention to detail, from helping you to pack, to safely moving all of your furniture, belongings and most important personal possessions. Whether you're moving to your dream home in a new city, county, country or continent, you can rest assured that the Johnsons team will take care of you every step of the way. Our core values have stood us in good stead and have helped Johnsons to become one of the largest and most well-renowned removal companies in the business. 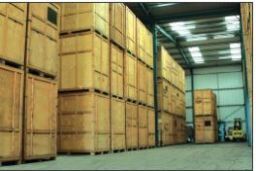 We have a vast amount of experience moving individuals, couples and families. We are experts in packing, moving and storing everything from delicate objet d'arts to heavy sculptures, haute couture, prized wine collections, priceless furnishings, pianos and even highly sensitive items of technology. Despite taking great care, accidents do happen. Our insurance covers you for up to £150,000 based on the declared value of goods being moved, whilst they are in our care and under our control. In the unlikely event that something does go wrong, Johnsons give you the confidence and assurance that items will be repaired or replaced in a quick and efficient manner. You also have the option to take out additional insurance where we will replace old for new - Exchanging the item for the same, new version, or if that's no longer available, the latest equivalent.